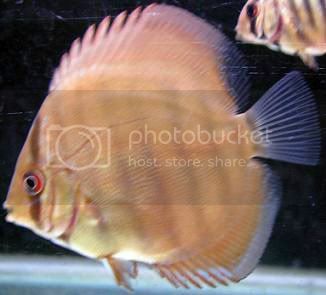 Blue Turk Pair: I agree on giving the opportunity to the parent to raise its fry, how else would they learn. OK Last year they used to eat up all their eggs, but that was because they always got fungus and were in hard water. About 3 months ago they started again, but this time they would not eat their eggs at all even after 5 days when the eggs were completely white and with fungus they didn't. I assumed they learnt to be patient. But now even after separating them to a breeder after 3 tries I had no fry, this I though could be for 2 reasons either my water is still not right or my male is not doing a good job. So this time I tried to rule out the water by moving the eggs after the spawn in the show tank to the breeder just to see what would happen. Yes this is confirmed Male and Female, and a pair they never leave each other if you know what I mean..The eggs haven't hatched in the breeder with the same water where the others hatched. Now I feel this male is no good, but once I get me another breeder I will give them a try again as they seem like a very loving pair. 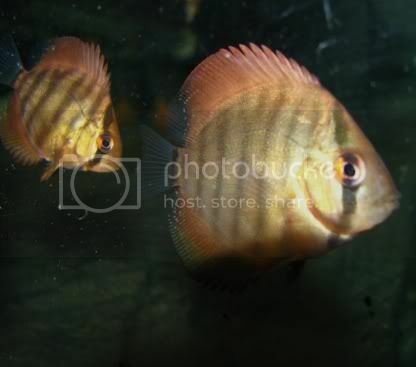 Red Turk Pair: This pair is very young for me. I didn't know if they even were a male and female until they started giving their first set of eggs about 3 months ago too. So I don't really want to even separate them for another 6 months. I am yet to even watch them carefully while spawning to confirm male and female. Since I had them give eggs a day after the other pair on a cone, I though I had nothing to lose if I did transfer them. Thanks for the guidance. The first set of fry are doing fine. Is there anything I should do this time around on the first few days? Last time I missed your initial guidance, also I would like to reduce the number of fry that grow up with bad gill covers, how do I prevent that? More airstones? Also Why is my hatch rate so low? The spawn size is also only about 100ish eggs? Do I have to give them FBW, or more vitamins in BHM, I believe that the spawn size depends on the condition of the fish and diet? I am willing to work n both for them. 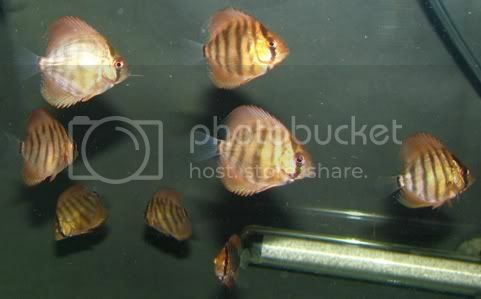 What is the mature breeding age and time line for these fish, as even age will have to do a lot with it? Anyhow, my visit to Bombay is pending. WC on 2nd day of free swimming . Freshly hatched Brine Shrimp on 4th or 5th day , start with small qty . WC of 25% daily with aged water . Seperate the frys once you notice that they are moving away from their parents to eat BS or parents are avoiding them to fed on them ( Pricking ) . may be 15 - 20 days . This also depends upon the size of the spawn . biger the size more stress to the parents . Why is my hatch rate so low? The spawn size is also only about 100ish eggs? Do I have to give them FBW, or more vitamins in BHM, I believe that the spawn size depends on the condition of the fish and diet? I am willing to work n both for them. May be the male is not producing quality milt ( fish sperm ) , try Pro More . Fertility of eggs are also depends upon the hardness of the water . If the water is hard , sperms will not enter the eggs easily . What is the mature breeding age and time line for these fish, as even age will have to do a lot with it? 12 - 14 years is spawnable age , after 3.5 years their rate drops down . 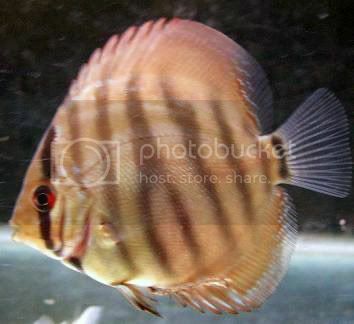 Shiva: is it possible for you to start a separate thread with your updated discus pics. Sounds like a nice collection. Beta : Thanks for the correction . Yes i will do that at earliest opportunity . Ritesh : when are your comming to Mumbai ? why don't you come to my place and click few pics Now you are an expert discus photographer . Humm, Pro More , another one of the things on my list to pick up from you. We are having 6 hour powercuts here in Pune, I would blame that and maybe me neglecting the tank a bit due to too much work last month and some travelling. This fry tank has an APC UPS just for it so it is going fine and it supports the entire powercut time. These guys are doing fine, no complaints about my first batch except that some of them have bad gill covers and a defective stress bar, it seems to be breaking? Will this develop differently or will they have it for life..? There are eggs again in a breeder, but until the electricity situation doesn't come around I don't feel too good about getting fry. Lets see what happens. How do you intend on doing that? Anyhow I have posted more on my blog. cheer up nanu..seeing you breed those beauties makes want to have them too .....its an exciting prospect ..... you are an inspiration! not sad just was confused.. Anyhow, yes they are nice fish. I hope they grow faster though...its a slow process, even with BHM. like the one half cut off he is only 1.5 inch still..
...will post more on them later, its 2am and I got office tomorrow. ...just been really preoccupied thats why havent taken a lot of pics yet. 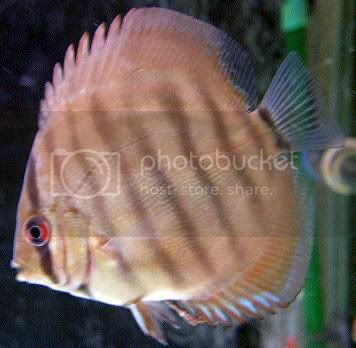 Hey...my pair has just gotten bashing up everyone else in the tank and have been separated...So was just thinking today about how your discus babies are doing. The babies are doing really well...Nice!